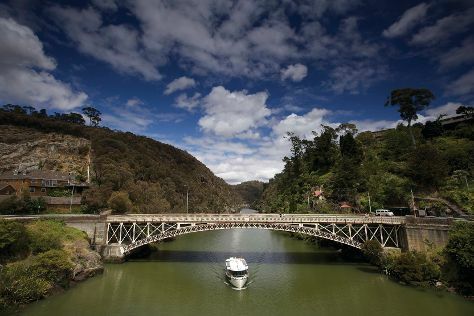 Your day-by-day itinerary now includes Tamar Ridge Cellar Door as well as Cataract Gorge Reserve. Kick off your visit on the 9th (Tue): view the masterpieces at Tasmanian Copper & Metal Art Gallery, look for all kinds of wild species at Cataract Gorge Reserve, and then view the masterpieces at Design Centre Tasmania. To see where to stay, reviews, other places to visit, and tourist information, use the Launceston trip tool . Use the Route module to find suitable travel options from your home destination to Launceston. In April in Launceston, expect temperatures between 20°C during the day and 7°C at night. Wrap up your sightseeing by early afternoon on the 10th (Wed) to allow time for the car ride to Beauty Point. 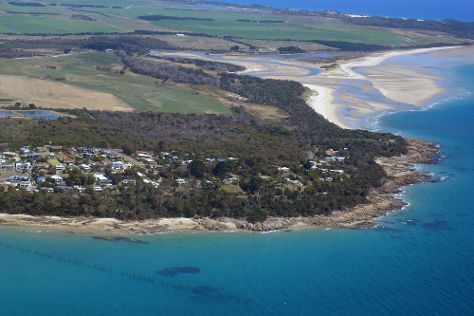 Beauty Point is a town by the Tamar River, in the north-east of Tasmania, Australia. To see traveler tips, more things to do, ratings, and more tourist information, go to the Beauty Point trip itinerary app . Traveling by car from Launceston to Beauty Point takes an hour. In April, plan for daily highs up to 20°C, and evening lows to 7°C. On the 11th (Thu), you'll travel to Evandale. Low Head is a suburb of George Town, Tasmania, on a peninsula at the mouth of the Tamar River, 5 kilometres north-west of the town centre.It is a popular snorkel and scuba diving area during much of the year, with extensive wide, unspoiled beaches.The area also has a lighthouse, beaches and a colony of little penguins (Eudyptula minor). To see where to stay, photos, reviews, and more tourist information, go to the Low Head trip planner. Traveling by car from Beauty Point to Low Head takes an hour. In April, daily temperatures in Low Head can reach 20°C, while at night they dip to 7°C. You'll set off for Bridport on the 11th (Thu). Bridport is a small town on the north-east coast of Tasmania, Australia. Kick off your visit on the 11th (Thu): go for a walk through Bridport Walking Track. To see where to stay, reviews, and other tourist information, read Bridport road trip app . Traveling by car from Low Head to Bridport takes an hour. In April, daytime highs in Bridport are 20°C, while nighttime lows are 7°C. On the 11th (Thu), wrap the sightseeing up by early afternoon so you can drive to Binalong Bay. 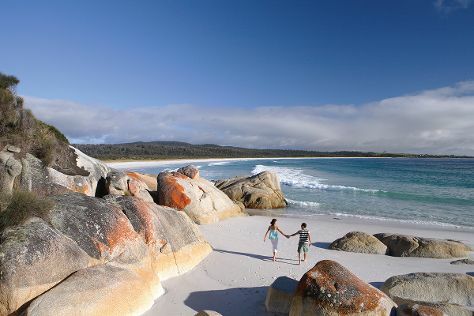 Binalong Bay is a small coastal town in north-east Tasmania, situated at the southern end of the Bay of Fires. For reviews, photos, maps, and other tourist information, refer to the Binalong Bay trip itinerary builder website . Traveling by car from Bridport to Binalong Bay takes 2 hours. Expect a daytime high around 20°C in April, and nighttime lows around 7°C. Cap off your sightseeing on the 12th (Fri) early enough to travel to Hobart. 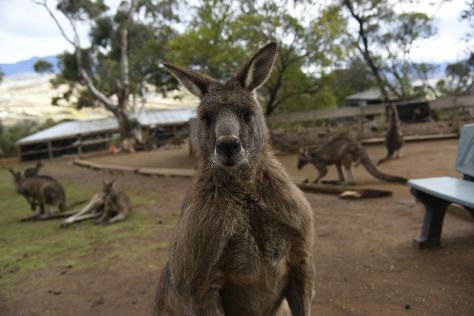 Attractions like Nature & Wildlife Tours and Bonorong Wildlife Sanctuary make great kid-friendly stops. Step off the beaten path and head to Seven Mile Beach and The Wicked Cheese Co.. Explore Hobart's surroundings by going to Eaglehawk Neck (Eaglehawk Neck Historic Site, Waterfall Bay, & more). To find reviews, other places to visit, photos, and other tourist information, use the Hobart trip builder . Traveling by car from Beauty Point to Hobart takes 3.5 hours. In April, daytime highs in Hobart are 21°C, while nighttime lows are 9°C. 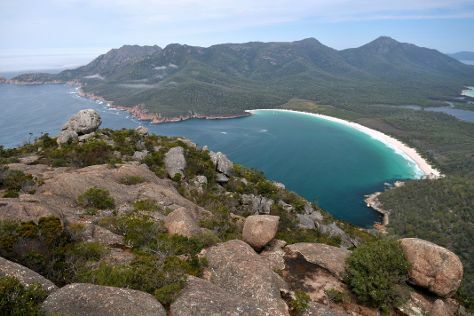 Wrap up your sightseeing by early afternoon on the 14th (Sun) to allow enough time to drive to Coles Bay. To find reviews, where to stay, traveler tips, and more tourist information, read our Coles Bay travel route builder . Traveling by car from Hobart to Coles Bay takes 2.5 hours. Alternatively, you can do a combination of bus and taxi. Wrap up your sightseeing on the 17th (Wed) to allow time to drive to Launceston. To see maps, traveler tips, photos, and more tourist information, refer to the Launceston itinerary planner . You can drive from Coles Bay to Launceston in 2.5 hours. Other options are to do a combination of car and bus; or take a bus. You'll set off for home on the 17th (Wed).